The Walrus Audio Transit 4 Clickless Pedal features a clickless switching system that provides noiseless operation when switching the channels on and off, while still providing everything the standard version has. 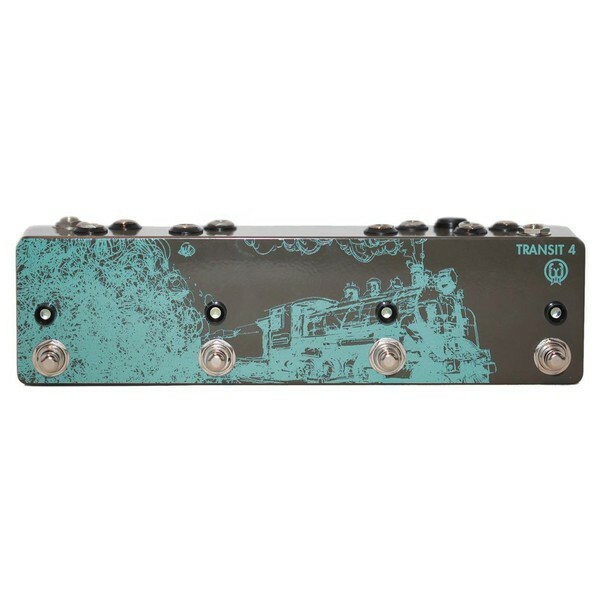 Connect one or many pedals to the Transit 4 to tidy up your pedal board, and allow for multiple pedals to be activated with one switch. The true bypass switching also works for all the pedals connected, essentially making them true bypass for excellent transparency when they aren't in use. Housed in a rugged case with simplistic footswitch controls, the Transit 4 ensures that you can switch your pedals on and off quickly and effectively. The clickless version of the Transit 4 signal looper offers all the same feature but also includes a clickless switching system. This system allows for silent operation when switching on or off each channel, allows you to concentrate more on your own sound without the added noise of the click.